Basic Composition: Portland Cement, ground sand, cellulose fiber, select additives and water. Contains no asbestos, glass fibers or formaldehyde. Weather Resistance: Resists rotting, warping, cracking, hail, and high winds up to 150 mph. Hurricane Resistance: The property damage from hurricanes can be staggering. 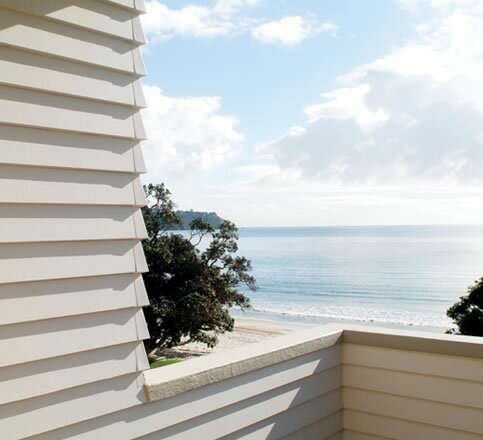 Due to its impact resistance against hail and windblown debris, fiber-cement siding has been specified by hurricane-zone building codes for building homes in hurricane, tornado, and wildfire prone areas. Color Palette - Additional colors may be available. Click Here for the most recent ColorPlus® palette. Have you ever taken a gallon of paint back to the store because it didn't match the rest of your project? How would you feel if one side of your house was a shade darker than the rest? James Hardie's color variance accuracy standards for our ColorPlus technology finish are three times stricter than what's acceptable for most "store-bought" paints and more tightly controlled than the automotive industry. 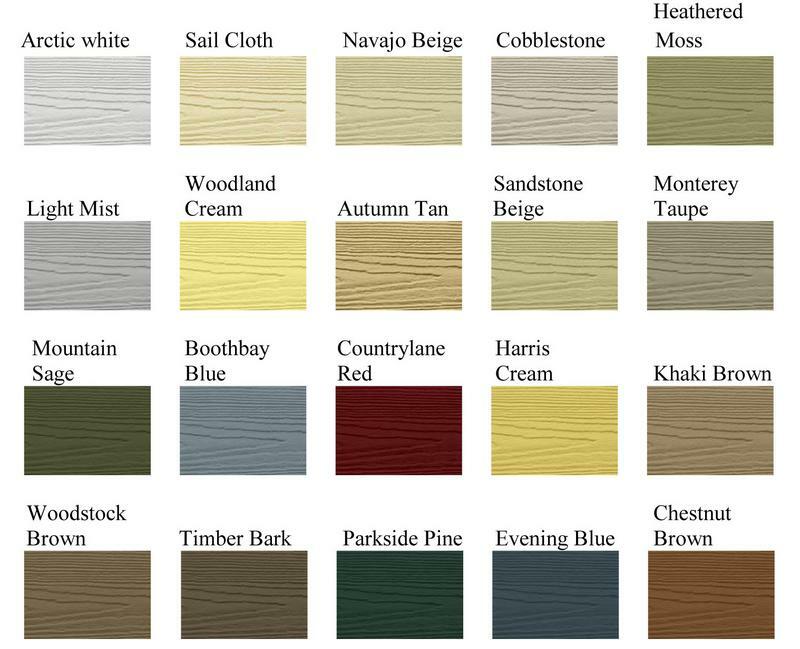 James Hardie's proprietary manufacturing process involves applying consistent, multiple coats of paint that was developed especially for our fiber-cement siding. Then, the paint is baked-on in a closely controlled factory environment. This automated manufacturing process, constant quality monitoring and application of up to 50% more paint - compared to field-applied paint - provides the most consistent paint application at the optimal thickness. Because James Hardie's exclusive paint is specifically engineered to withstand the sun's damaging UV (ultraviolet) rays, the James Hardie ColorPlus technology finish gives you up to 30% better fade resistance. If you prefer to choose your own colors, James Hardie offers their original preprimed product which, unlike some other siding options, can be painted. 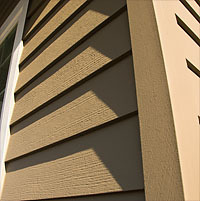 And because fiber cement siding does not expand and contract, it holds paint better than wood. With a good paint schedule, you may get 10 - 12 years if you use a high grade of paint. This luxury, high-end exterior building product turns any house into a dream home. Artisan Lap provides stunning visual impact and curb appeal, far surpassing anything else on the market. 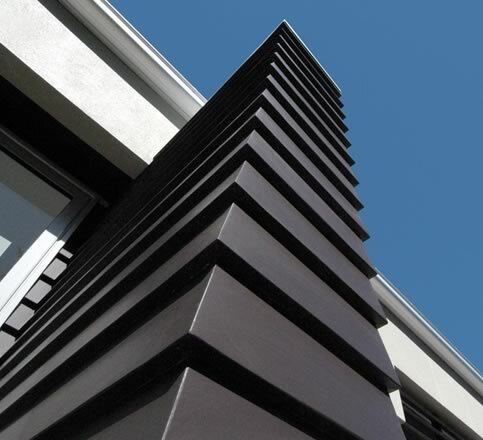 Breaking free from the flat lines of typical modern homes, the multi-dimensional lines of Artisan Lap cast stunning, deep shadow lines across any home's exterior design. 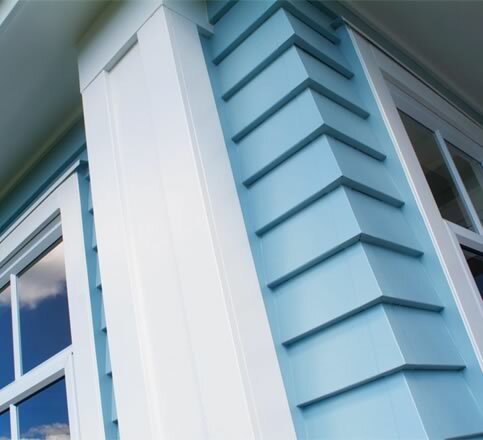 This dramatic style and sophistication blend with the structural integrity you can expect from James Hardie. With patented DuraTech™ technology, Artisan Lap provides a product with superior structural integrity. With a 5/8" thickness, deep, defined shadow lines are cast from the thicker material for maximum beauty coupled with superior structural integrity. 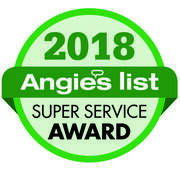 As a leading siding contractor in the State of Florida, we have been designated a Preferred Remodeler by James Hardie Siding Products.